Tired of looking for makeup that you don't even know is right for you? 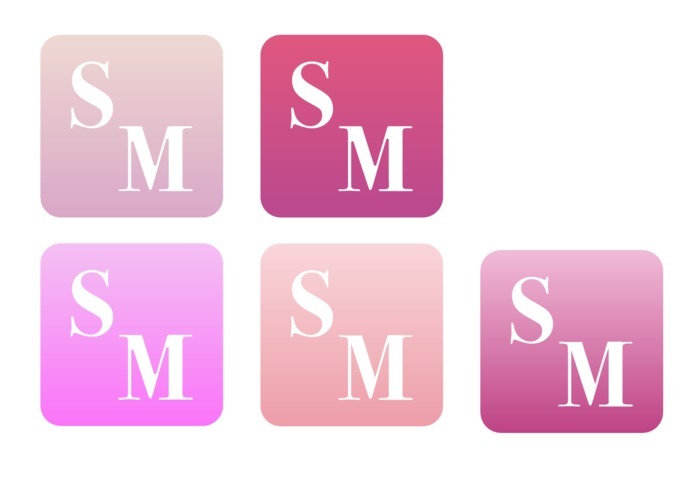 Well look no further with SimplyMakeup! In the beginning, we were looking for growing industries with niche markets. We looked at industries such as manufacturing, health and safety and entertainment. We decided to go with entertainment due to its growing popularity in which stumbled upon cosmetics. Initially, we were indifferent to the idea since we had no experience within this industry since we have never used any makeup products. However, we saw some existing problems within the industry that have not been solved and saw opportunity. This lead us to brainstorm some ideas which then inspired us to create SimplyMakeup. This product is an app that uses facial recognition to determine the users skin color and facial structure to provide the perfect matching skin tone color for foundation. 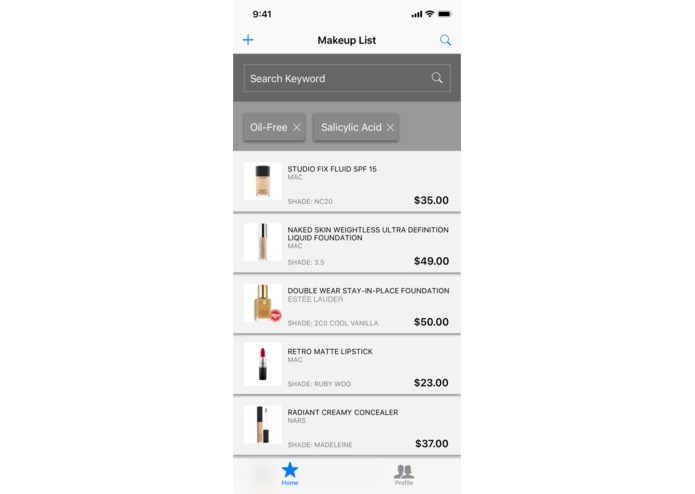 Within this app, there are provided filter preferences ranging from price, ingredients and brand to add more depth for the user to find their desired product(s). Specifically, in terms of ingredients, we wanted to be able to let users avoid any harmful irritants while also allowing them to select compatible ingredients for their skin. Finally, they will be directed to results that correlate with their skin tone colors and filters that they have chosen to find them the perfect foundation. SimplyMakeup is built in the Unity Engine and is coded in C#. In doing so we implemented the Google Vision API and were able to take advantage of the facial recognition feature. When we merged the camera with Google Vision, we were able to find face(s) on the image and take their skin tone information in RGB format. This lead us to code an algorithm that takes the RGB value and sorts the foundation database to best match with the user's skin tone. Our Designers use Sketch and Powerpoint to craft the perfect vision and theme for our mobile application. This allowed our business teammates to pitch and covey SimplyMakeup at a 100%. We ran into various amounts of challenges throughout all stages of making this project. During the beginning stages we had to do a lot of industry and market research because none of us have any experience within this field. On top of story-boarding how the coding will work, we also needed to know the mechanics and problems the makeup industry faces and why there is a market. While developing this product, we had huge difficulty implementing the Google Vision API as we tried to make it compatible inside the Unity environment. In the late stages, we had troubles condensing our pitch to fit within the 3 minute mark and polishing it so that the most important points would stand out. We are very proud of finding such a niche market that is out of our expertise and turning it into a profitable product. Though it took us hours, we were able to successfully get the Google Vision API to work, and through rough work, figure out the needed libraries and functionalities from the API to work towards our advantage. 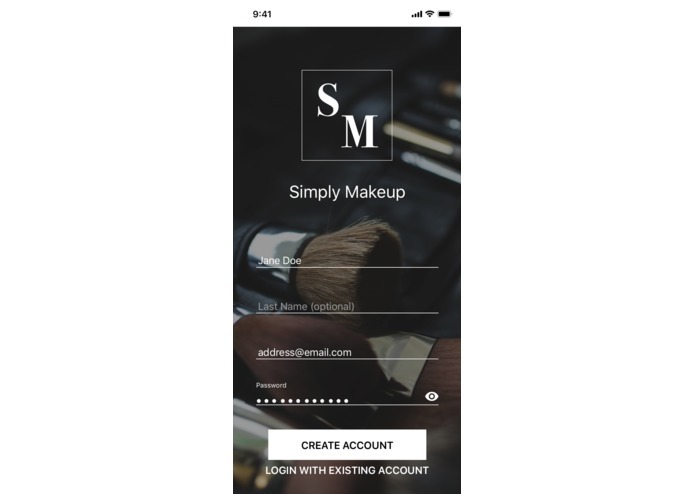 For SimplyMakeup, minimalism and simplicity is key; our designs are able to successfully show this theme and give users a pleasing yet sophisticated experience. We learnt a great deal in learning how to use external software such as APIs to further our project. Our team overall also dealt with a new coding language being C#. Being able to be adaptable to unfamiliar situations allowed our team to learn a great deal from these experiences. We had to learn to cooperate better, but also work independently in our delegated tasks. In the future, we want to expand the apps functionalities, especially during the purchase of the product. Specifically, we want to allow users to purchase the foundation on our platform because we wish to open a new avenue for revenue and increase our customer base. We also want to expand the products that we can help users find such as lipsticks, concealer and massacre. As a long term goal, we wish to increase our partnerships with cosmetic companies to advertise on our platform while also providing exclusive coupons and deals to distribute as an incentive to build customer loyalty. 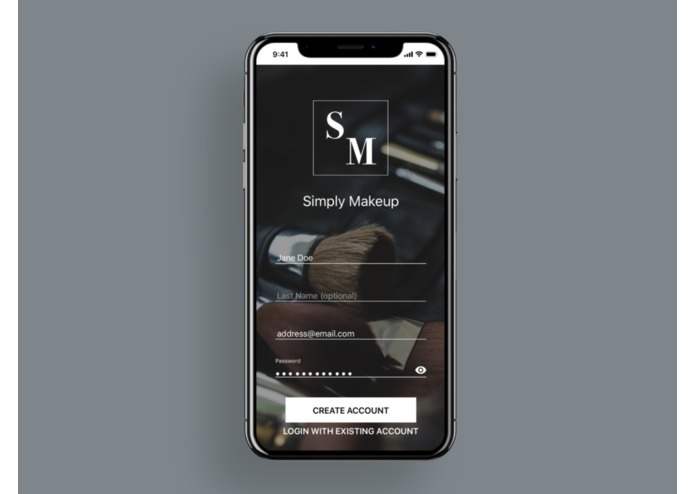 I contributed towards the business and design aspects of SimplyMakeup, emphasizing the products feasibility and functionalities that solve existing issues within the cosmetic industry. I had contributions towards both the business and the back-end programming aspect of SimplyMakeup. I conducted market analyses of our product to ensure industry competitiveness. In the back-end I developed an algorithm that detects the skin colour of the user and match them to favourable products. I designed the app's UI in Sketch while keeping the user's overall experience in mind during the whole process. I mainly worked on the back end component of our project working with the cloud to receive and perceive images(detect faces and skin tone), as well as assisting with getting Google Vision to work and getting the camera to work. I worked on getting Google Vision to be compatible with Unity's plugin system and then programmed the front-end in Unity.